In this book, Carl Sagan explains how important intellectual skepticism is to science. He believes that those who lack this intellectual skepticism and accept the unproven myths of popular culture are nothing more than victims of irrationality. Sagan explains the differences between science and pseudoscience. Through the scientific method, new ideas are challenged by other scientists, rigorously tested, modified, and sometimes discarded. Through the pseudoscientific approach, ideas are presented in such a way that they cannot be tested for validity. He also explains that Americans are not capable of making good decisions when it comes to abortion, stem cell research, and AIDS because many do not understand the basic scientific principals behind these ideas. Sagan understands why some people may have a fear of science, after all, scientific discovery is responsible for nuclear warfare and the pollution of the Earth. However, he contends that there is no safety in ignorance and that scientific discovery is essential for the betterment of human life. Throughout this book, Sagan presents his skeptic explanations of many commonly held beliefs. 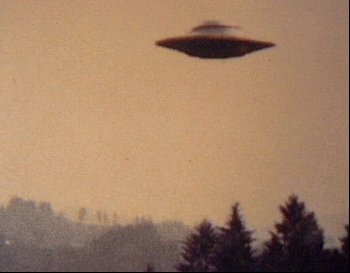 For example, he believes that the famed UFO that crashed in Roswell, New Mexico was in fact a weather balloon that was used in the Cold War. He also debunks alien abduction stories. He believes that the sexual components of nearly all of these stories show that these stories are the product of repressed memories of sexual abuse. He challenges faith healing by explaining that there are some diseases such as joint pain and hysterical blindness in which the patients state of mind plays a role and that in these diseases, the mere belief in a miracle cure can have a dramatic effect. My favorite part of the book is chapter twelve when Sagan explains his “baloney detection kit” which is his set of tools and guidelines for skeptical thinking. These tools include seeking verification of any claim, rejecting claims based on authority, determining whether a hypothesis can be falsified, recognizing attacks against individuals who propose an argument instead of the argument itself, and ignoring selective observation. This is my favorite part because it is the part in which Sagan explains the basic reasoning he uses to create his skeptic claims. This chapter directly corresponds with many topic throughout the text book. Seeking verification of the effectiveness of subliminal self-help tapes has shown that any apparent improvement caused by these tapes is merely the placebo effect. This chapter reinforces the importance of questioning claims made by aromatherapists even though “scientists” are doing a lot of research on essential oils. Finally, this chapter strengthens skepticism in psychic crime detectives who measure their success by selectively reporting the times that they are correct and ignoring the times that they are wrong. Themes in this book also apply to the current belief that childhood vaccinations cause autism. Seeking verification to this claim would reveal that while the amount of children diagnosed with autism has increased dramatically over the years, the percentage of children vaccinated has remained relatively the same. Therefore, skeptic thinking can be used to determine that childhood vaccinations are safe and do not cause autism.